If you are looking for a breath-taking view, Perivolas is the right place for you. 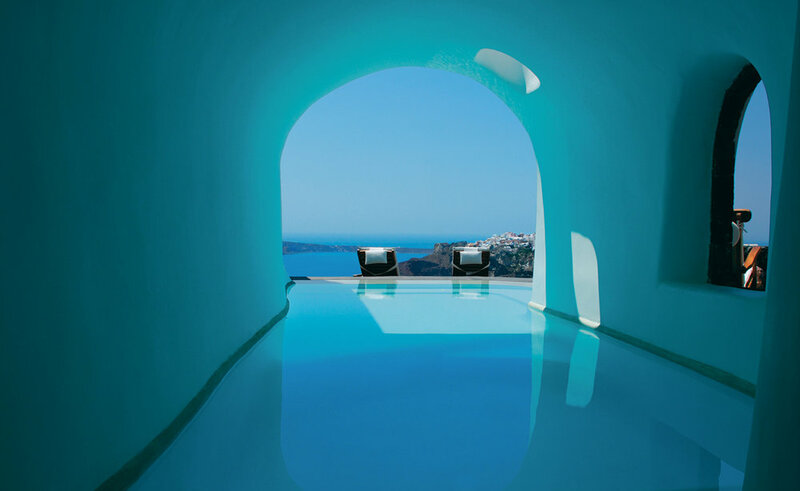 Perivolas is located in the most romantic zone of Santorini, Oia. 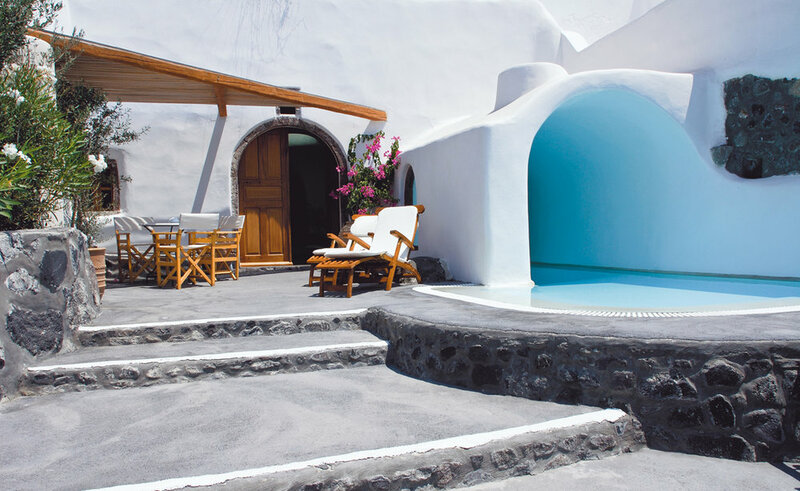 Faithful to the tradition of Santorini’s unique architecture they have restored a group of 300 year-old caves that were once the homes of local fishermen and farmers. 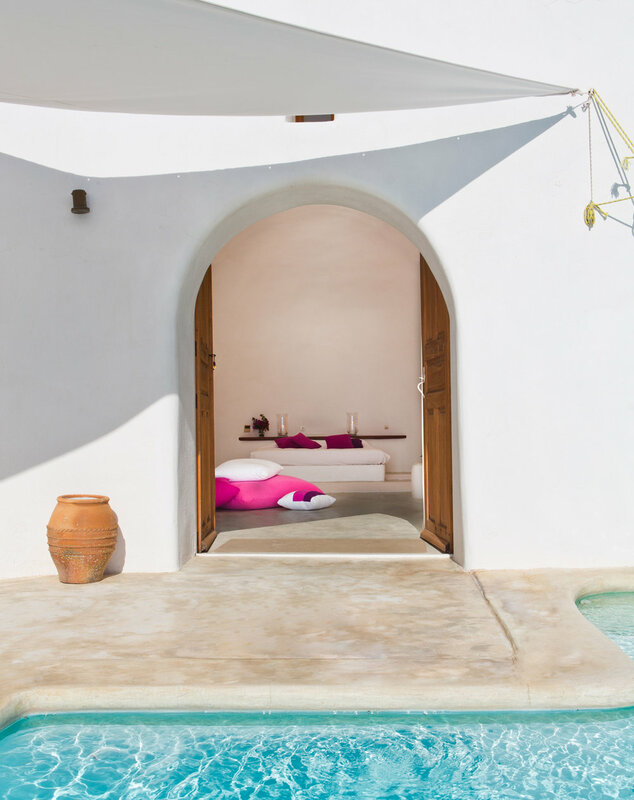 Built by native craftsmen using only local and organic materials, 20 different cave houses were decorated with fuschia and lilac cushions and bedding, that contrast perfectly with the white washed stone walls. 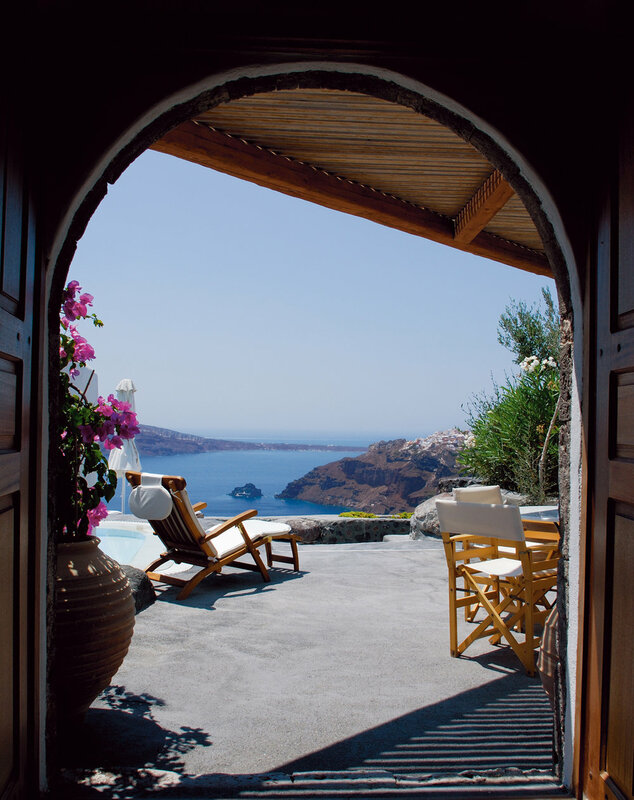 Each of the cave houses are unique in its size and decoration, but all having private terraces with the most amazing sea view. Originally designed as a family home, Perivolas still feels like a private residence. Intimate in scale and atmosphere, every house is different. This is the perfect place to log-off, relax, and dream. The hotel opens from mid April until end of October, and it is only open for adults or kids +16. Price: Low season rates start at $540/night and high season rates start at $650/night. Make your reservation here.